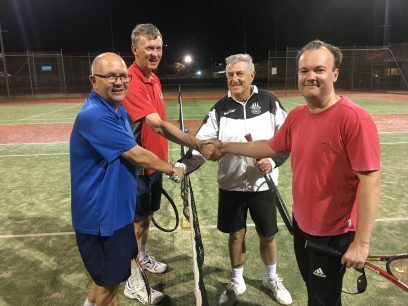 Social doubles tennis for mature players on beautiful synthetic grass courts. Keep fit, have fun and meet some new people! 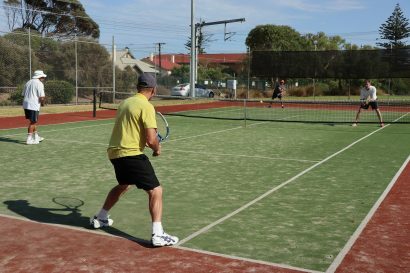 The Brighton Tennis Club Inc which was founded in 1903 is located at the rear of the Holdfast Bay City Council premises at the corner of Jetty Road and Torr Avenue,Brighton. With the exception of the period through the second world war the club has maintained a steady membership level. The members who enjoy organized Tennis on Tuesday mornings,Thursday evenings and Saturday afternoons have access to the facilities seven days per week for casual tennis. The four synthetic courts are floodlit for year round evening play. The Clubhouse is available for HIRE and features a fully equipped kitchen with crockery and cutlery. 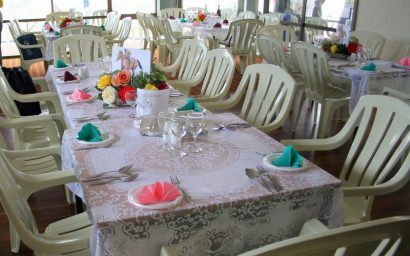 Up to 60 people can be comfortably seated. The outside under cover area is perfect for pre dinner drinks! BBQ facilities are also available. Bookings for Court and Clubhouse HIRE can be made with Jocelyn Frattini on 0403316406.